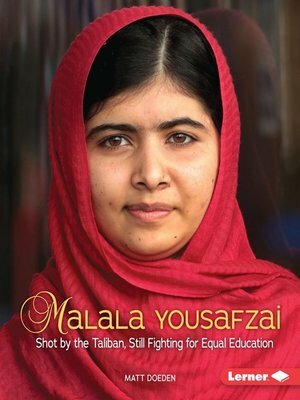 On October 9, 2012, Malala Yousafzai was on her way home from school in Swat Valley, Pakistan, when she was shot in the head by members of the Taliban. Though she was only fifteen years old, the Taliban targeted her because she wrote blog posts and appeared on television defending girls' right to education in Pakistan. Malala survived the attack and went on to write a book, earn a nomination for the Nobel Peace Prize, and meet President Barack Obama. She has become the face of the campaign for universal education and has inspired students worldwide to value their right to go to school. Malala was well known before the attack due to her outspoken support of education, but her near death catapulted her to international recognition. Now Malala lives in the United Kingdom, gives interviews, and attends school. She also continues to receive threats from the Taliban. Read more about Malala's childhood, what she has done after surviving the Taliban attack, and why she thinks education should be available for all children everywhere.